When a student disobeys one of the school codes of conduct, it results in disciplinary action as a consequence of the violation. What happens when it’s a student that has a disability? According to the Individuals Disabilities Act of 1997 (IDEA), a functional behavioral assessment (FBA) has to either be reviewed or conducted by the school psychologist before the school authority can take disciplinary action against a student with a disability. An FBA is a problem solving process that addresses a problem behavior that a child is exhibiting. It uses techniques to identify what triggers the specific behavior and interventions are created in order to directly address the behavior. A student with a disability should NOT be disciplined without the consideration of their FBA. Two different children can display the same behavior, but the function of the behavior may serve two completely different meanings. For example, let’s say one child throws a chair across the classroom because they do not like the teacher. Now lets say a child with Asperger Syndrome (AS) throws a chair across the room, not because they do not like the teacher, but because he/she is having difficulty with trying to communicate what they want to say. Individuals with AS often have a hard time managing their emotions. One of the reasons why is because they have difficulties expressing what they want to say, which is known as Alexithymia. It is easier to use physical action as a release from their emotional energy. So in this case, would it be fair to serve both children with the same disciplinary action? Absolutely NOT!! In this instance, it is the job of the school psychologist to address the behavior according to the student’s FBA, not the school authority. When any student that has a disability violates a school code of conduct, it would appropriate for the school psychologist to intervene. It is their job to review the student’s FBA or conduct one in order to come up with an appropriate disciplinary action. The utilization of FBAs has proven to be a successful way to produce a desirable behavior over a maladaptive one. Although there is no universal way in conducting a FBA, there are several areas that are considered in the process such as the purpose of the assessment, the definition of the problem, designing/evaluating interventions, etc. An FBA is a well thought out process that consists of beneficial information on a student with a disability. The interventions are carefully considered according to the student’s strengths and weaknesses. Our point? Are schools taking the necessary steps and using the FBA when determining what type of disciplinary action should be taken with a child that has a disability? From personal observations and feedback from schools, it is unclear if school psychologists are getting the opportunity to intervene all the time. Is this fair to the student with a disability? Do you see the school authority consulting with the school psychologist before making a decision? Do they even feel as if these considerations should me made? If not using the FBA as a guide, what measures are they taking to consider the type of disciplinary action that should take place? In your opinion, do you think a FBA is even necessary to review when taking disciplinary action? School psychologists should absolutely make every effort to intervene when a child with a disability is involved with disciplinary action, but in the end, we come back to one of the biggest issues in the field, time. It is not fair when a child doesn’t get the attention that he/she deserves during a crisis, but it is our responsibility to try our hardest to do so. At the Tier 1 level, FBA’s try to predict common problems, but are not very individualized, while at the Tier 3 level, there should be a more intense, individualized process of assessment. If the resulting behavior causes danger to the student themself or others and is a common occurrence, it is critical for the school psychologist and her multidisciplinary team to utilize the FBA to insure that an appropriate behavior plan will be implemented into the child’s school day in order to reduce the amount of these types of occurrences. All staff in contact with the student must be aware and prepared to react appropriately. Realistically, FBA’s are unfortunately not always referenced in the way that they should be because of many factors such as staff not being trained, non-individualized plan, and again, time. Although each case deserves equal attention, we must be most attentive to the most intensive behavioral cases that arise. I believe FBA’s are absolutely necessary to review prior to taking disciplinary action as it is extremely important to understand the function of the behavior. This is the student’s way of communicating with us nonverbally and we must respond immediately and appropriately to help. While I agree with Ms. Wiseman's comment that school psychologists should make every effort to intervene when a student with a disability is involved in disciplinary action there are a number of obstacles that prevent this from happening. First, administration has the final say on the disciplinary action taken. So, although the school psychologist may advocate till s/he is blue in the face, the vice principal, principal, etc. may ultimately decide that the student receives the same disciplinary action that their peers without disabilities would receive. They may make this decision because it is easier than engaging in behavior analysis or because they feel that the student should receive the same treatment as everyone else. Another obstacle is that of manifest determination. A functional behavior analysis (FBA) is only required by the district should they expel or suspend the student for more than 10 days, cumulatively across a school year as this is considered denial of their "free and appropriate public education" (Kampwirth & Powers, 2012). Essentially, the school is not required to engage in behavior analysis/intervention for less serious infractions thus administration may apply standard disciplinary action. Furthermore, should the student’s behavior result in a cumulation of suspension for 10 or more days or expulsion, the 2004 reauthorization of IDEA enforces that it is the responsibility of the family to show that the child’s behavior was a result of their disability or of the school’s failure to implement a suitable IEP. It is only after this is proven that “the IEP must conduct a functional behavior assessment and implement a behavior intervention plan” (p. 174). It is my belief that regardless of these obstacles a dedicated school psychologist should not “follow suit” but should think critically about the situation, the student’s behavior, and the student’s history and known manifestation of their disability. When meeting with administration prior to disciplinary action, the school psychologist should be prepared to comment on the student’s background as it pertains to the present situation and advocate for the appropriate disciplinary action. Depending on the case, the school psychologist may need to stress that standard disciplinary action may serve as reinforcement of the behavior rather than punishment. Kampwirth, T.J., & Powers, K.M. (2012). Collaborative Consultation In the Schools. Upper Saddle River, NJ: Pearson Education, Inc.
U.S. Government. (2004). Code of federal regulation, title 34, Section 300.8. I do believe a FBA is necessary to review when taking disciplinary action. Just as it was stated in the post, children with a disability may not be able to communicate their needs and therefore may express their feelings in physical ways. The FBA looks at underlying causes of the behavior, and in intervention plan is based on the findings of why a child's misbehaves. If we, as school psychologists, are able to pin-point a behavior and the location it happens in, we will be able to create a better intervention. I agree with Denise on the fact that we should think about each situation individually. Not reviewing a FBA for a child with a disability would be a disservice to the child. Instead of changing the behavior, they would simply get reprimanded and the behavior will persist. We want to see real change. Not only to say our intervention was successful, but to say "we were able to help that child." The following link may be useful for understanding FBA better http://iris.peabody.vanderbilt.edu/fba/fba_01.html. FBA may take more time to implement and complete, but it will be worth it in the end for the child. I am also in agreement that is it necessary to review an FBA when taking disciplinary action against a student with disabilities. As Denise stated it is required by law under certain circumstances and in addition, it helps educators understand why this behavior occurred. Also, in conjunction with reviewing the FBA it is imperative that all parties reference the current IEP plan that is in place. It could be possible that the current plan is not addressing new problem behaviors or is not being implemented properly, thus resulting in misconduct. I also believe it is important for all parties involved in the review process to understand their roles in the child's educational environment. I think it is interesting that in cases where the misconduct is determined not to be manifested by the child's disability, administrators decide if conducting an FBA is appropriate (PBIS.ORG). The concept of "appropriate" is similar to other laws in education (i.e. bullying) where enforcement is a judgment call; in these cases there are many grey areas. Perhaps a student who would benefit from an FBA is denied access because a.) it is not required by law b.) there are insufficient resources or c.) not enough time and/or money. In reference to the first point, the reality of the situation is that FBAs and other types of assessments are very time-consuming. The caseload of school psychologists, as well as their day-to-day responsibilities seem to be continually increasing. In a district with many students with disabilities who have behavioral problems and unusually large case loads for psychologists, it would not be realistic to implement an FBA for each student with a disability who requires disciplinary action. In this case, a more appropriate intervention might be education for school staff and administration involved in the decision-making process regarding disciplinary actions. For example, the school psychologist could develop a decision-making chart to help facilitate appropriate sanctions. If additional guidance is needed, then consulting with the school psychologist might be warranted. In more serious and/or chronic cases of problematic behavior, school staff and administration could make referrals for an FBA. In reference to the second point, general education students might feel that the students with disability are “getting off easy” and not being held accountable for their behavior. This would likely stem from a general naiveté about the students’ disability and associated problems that occur. To manage this, again education could be useful. Students who express frustration with the process being “unfair” could be told in general terms (without breaking student confidentiality) about the different circumstances regarding the sanction. In addition, general education and exercises about tolerance could help mitigate this problem. I believe that an FBA is a useful, but not essential component to review when deciding disciplinary action. In a perfect world, yes I think it would be a useful tool. However, realistically speaking, this cannot always be taken into account. One way to combat this issue is to educate administration and staff in the decision-making process so that they are more likely to make thoughtful, well-informed decisions. Everyone so far seems to agree that an FBA is a useful tool when considering disciplinary action for a student with a disability. Like Katie mentioned, realistically because of one reason or another, an FBA is not always referenced. And like Nikki mentioned, disciplining a student in this case may not work and the behavior might persist. How can administrators understand the function of a behavior without reviewing the student's FBA? It is understood that a student needs to face the consequences that results form a negative behavior, but if the disciplinary action is not going to be affective, what is the point? What if the student would benefit a behavioral intervention plan (BIP)? The only way that can be determined is if an FBA is conducted. Krista, you mentioned time/money as a reason a student may not be given an FBA. It always seems to come down to these two factors. The previous blog discussed how much time should be spent after each student with a disability and how fair schools are with time management with each case. I know it was discussed in the previos blog, but I think it is an important message to stress that it is all about collaboration and communication! Heather you mention that school staff and administration involved in making disciplinary decisions should be educated on interventions that may be more appropriate. I could not agree more! I think it would reduce the time and increase the likelihood of an appropriate decision, but the willingness to want to be educated has to be present. Like Denise mentioned, sometimes school psychologist can voice their opinion and try to do their best to advocate for a child, but what if those making the disciplinary decisions do not want to listen? What if they do not believe in looking into IEPs, FBAs, and BIPs and think it is all irrelevant? According to the Individuals with Disabilities Education Act of 1997 (IDEA), §§300.530 through 300.536 describes the appropriate disciplinary procedures for a student with a disability who violates a school code of conduct. Under paragraph (e) Manifestation determination, a school has 10 days to take any decisions to change the placement of the student. Within these 10 days, the member’s of the student’s individualized educational plan (IEP) team, the LEA, and parents must gather the necessary information to determine if the violation had a direct relationship to the child’s disability. Under paragraph (f) Determination that a behavior was a manifestation, if it is determined that there is a relationship between the conduct in question and the disability, a functional behavioral assessment (FBA) has to be conducted, “…before IEP teams consider disciplinary action against children with disabilities” (Practical Handbook of School Psychology: Effective Practices for the 21st Century, p. 194). Preeti, you mentioned that students need to face the consequences that result from negative behaviors, but if the disciplinary action is not going to be affective, what is the point? I couldn't agree more. I think that yes FBA's need to be consulted when you are dealing with a student who has a disability. You need to know the underlying reasons why this student is behaving this way and if you do there should be an affective plan in place to make sure that the student doesn't get to the point of disciplinary action. I understand that although there is a plan and it could be implemented to perfection sometimes things just get out of hand. But in those instances administrators cannot just react. They need to make sure they take the time (although we know there is lack of that) to make sure they discipline the student appropriately so that it is affective. If we stop disciplining then what do we do? 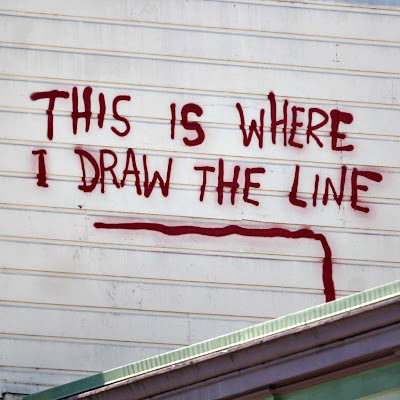 Where is the line drawn? I agree that advocating for your child or case as well as educating all staff on behaviors and their functions are key to a successful learning environment when these types of issues are present. Uneducated school personnel may jump to conclusions that the student with a disability "definitely knew what they were doing" and punish them as they typically would with a student in general education. We need to make sure that these types of occurrences arent happening. FBA's are extremely important for this reason. School districts may not "believe" in FBA's and IEP's, but if they want to help their students with disabilities, there needs to be change. I also agree with Denise in saying that, it is our job as up and coming school psychologists to educate and inform these people on the positive outcomes that individualized special education will bring. I agree with Katie all staff members should be educated on types of behaviors and appropriate types of intervention. I was recently present at a meeting with the School Psychologist and several teachers who were discussing the behavior of a student with a specific learning disability. The teacher was upset because the student would always disrespect her in front of other students and because of his inability to control his emotions, specifically his anger. The school psychologist explained that he had a disability which did not allow him to react as other student do, but she was not having it. She wanted disciplinary action because she felt that he was becoming more and more offensive with time and just as Katie stated, "the student knew what he was doing." This teacher should be trained to handle these type of behaviors and to intervene in such a way that she can reduce the probability of that specific type of behavior happening again whether it be through positive reinforcement or any other type of intervention. Who is right in this scenario? Shall we blame the child study team because he does not have an FBA or BIP, is the teacher at fault for not handling the situation properly? These are usual occurrences at schools and I believe it is a consequence of not using FBAs in an appropriate and timely fashion. Katie, I could not agree more. School psychologists should advocate for their students because they know them best (within the school). It is the school psychologists that will know, or at least can guide in making the right decision for the students. In my personal opinion, a good psychologist will do what is in the best interest for their students, even if it means speaking up on behalf of the student instead of what Denise stated as "follow suit." If school psychologists are not willing to stand up for their students, who will? Every school is different. Some schools do a great job at working collaboratively, and some schools are not so cooperative. In some cases, the administration might want to do the right thing, but they just don't know how. No matter, the case, school psychologists should continue to put their students first. And like Katie and Heather mentioned, educate when possible! School psychologists are the experts on their child and administrators just need some guidance sometimes to know what steps to take. Explain why IEPs, FBAs, and BIPs are important and how they can help in place of disciplinary action. As Denise stated, it is important to "...stress that standard disciplinary action may serve as reinforcement of the behavior rather than punishment." They only way administrators may know this, is if school psychologists share their knowledge of the child and information on the individual case. Jovanna, does this student have an IEP? If so, maybe conducting an FBA may be appropriate so a BIP can be put into place. This whole situation could possibly have been avoided because if the teacher had the right tools to utilize, in this case a BIP, she would know how to handle the situation. It seems as if FBAs and BIPs are avoided because of lack of time, but when you step back and look at the whole picture, they might be saving EVERYONE time. Like in the case that Jovanna presented, if the teacher was given a BIP, she would know what to do and be able to take care of the situation on her own. So are FBAs and BIPs really that time consuming? Are they really that much of a hassle? Isn't it better to conduct an FBA and create a BIP beforehand and save a lot of the questions and confusion? As future School Psychologists, I think we can all agree that intervention through an FBA is absolutely necessary when deciphering the most appropriate disciplinary actions to take with a student with a disability. However, as Ms. Annecchino mentioned, it is not the School Psychologist’s decision to make at the end of the day. School Authority will make the decision that they feel most adequate for that particular situation. It may seem “fair” to enforce the same disciplinary action on a student with a disability as you would a student without a disability, but if the student’s disability is the direct cause for the behavior being questioned, than how is it “fair” to punish a student who technically cannot control certain behaviors or use these behaviors as a means of communication? The purpose of intervention is to ensure that every student is protected against any harm including harm that they themselves might be causing. If this is the case, by imposing disciplinary actions that you would on a student without a disability such as expulsion or suspension, the behavior is not being addressed and it is most likely that this same behavior will be displayed in the future. The cycle will continue if no one intervenes! Preeti, I think you make a really good point about taking time to conduct assessments when necessary. In doing so this creates an effective strategy that saves time in the long run as you mentioned. It is also important for teachers to understand why a student with a disability is acting a certain way. It is our job as a school psychologist to educate teachers or other staff members who may not be familiar with characteristics of certain disabilities. Also, I think that some educators may have a stigma against FBA's, BIP's, or IEP's because it seems like more work for them. Additionally, I feel like they may not have received the proper training about how to implement these plans and what their goals are. I think it is important for everyone to be on the same page and understand what the goals and objectives are in these plans. As the authors of the blog made clear, the utilization of a Functional Behavioral Assessment has proven to be a successful method to create a desirable behavior more than a maladaptive behavior. An FBA essentially adds a formality to the process of assigning disciplinary action. If schools are not conducting an FBA, they are creating damage in the long term; behaviors can be stopped early on in the process. If the school does not have an appropriate system in place, in my opinion, they are failing their purpose as an educational provider, their children, parents, and society. The whole process should be a collaborative one. However, the school authority does not always consult with the school psychologist before making a decision and unfortunately, each district has a different means of dealing with individual cases. As a result, this parallels to resistance in consultation. If resistance is a persistent problem, the question then becomes what factors are causing such resistance and how can the consultant effectively deal with this challenge? How can the consultee and consultant work together to implement a joint plan? There are many obstacles that are going to occur, specifically with the fact that teachers and administrative staff will view proposed change with uncertainty or doubt (Kampwirth & Powers, 2012). However, change is important in the process of a student’s performance because as future school psychologists we must think of what is in the best interest of the child. But how do we draw the line? Certainly, there are different approaches to get school authority to consult with the school psychologists before coming to a decision, but it all goes back to time; time can affect the degree to which the administrative staff wants to get involved and more importantly work together through a collaborative approach. Kampwirth, T.J., & Powers, K.M. (2012). Collaborative Consultation in the Schools. Krista, I agree with what you said about stigmas being attached to FBAs, BIPs, and IEPs. I also agree with the fact that if teachers/administrators receive the proper training, they will be more open to utilizing the FBA when considering disciplinary action or even in the classrooms to manage the behavior before it has to be taken to the authoritative figure. It is important for them to understand why alternatives to disciplinary action would be appropriate. Brittany, yes the process should be a collaborative one. We feel that open communication amongst the teachers, CST, and administrators is important to do what is best for the student. You raise some important concerns, "If resistance is a persistent problem, the question then becomes what factors are causing such resistance and how can the consultant effectively deal with this challenge? How can the consultee and consultant work together to implement a joint plan?" These are great questions to think about. If there is resistant, school psychologists should think about how they can work around the resistance and still do what they need to do for their students. And once again this is where training comes into play. School psychologists can provide trainings so that other members in the school can gain an understanding to FBAs and BIPs. The more information they are provided with, the more willing and open they will be in utilizing the tools you want/need them to. Krista, I agree with you in that everyone needs to be on board and receive appropriate training. Training programs are essential, but because of the cost, are not always feasible. I feel it’s important that everyone is included in this training –psychologists, administrative staff, and even parents. Parents need to be involved in the process of their child’s success and have the social interaction with others who are going through the same process, whether it involves the child having a disability or not. Our system of education is complex and challenging, however, it invites us as future school psychologists to see the change we can make if we are willing to take the chance. I agree with Krista as well, in that teachers may not be properly trained. Teachers may feel that you (as a school psychologist) don't know their students like they do. Therefore, you shouldn't be telling them what work they should be doing or how to discipline their students. They may feel that implementing IEPs, BIPs and FBAs may be more work than they expected. I know from personal experience, in my placement, I've seen this. Teacher's 'left it up to their own discretion' which modifications they would implement in their classroom. It may be difficult for a teacher to understand that an FBA does need to be implemented for a child who is acting out. That is why we, as school psychologists, need to work with the teachers and other faculty to explain (if needed) and implement all IEPs, BIPs and FBAs so we're not dis-servicing any child. Functional Behavioral Assessment has proven to be a very useful tool over time. Unfortunately, as many of the classmates have mentioned – they take up a lot of time. When we are working with children who have behavior problems, FBAs seem to be the best tool to help the professionals. As Peacock et al. (2009) states that they are intended to improve the effectiveness, relevance and efficiency of behavior intervention plans by matching the treatment to the individuals. This definitely sounds like the best-case scenario. We have all been with out site supervisors where we have seen how little time they really have. The school district that I shadow at, has a behaviorist on site that is responsible for the FBAs but even she has pointed out that it is a very tedious task. We discussed in class about how school psychologists have a very intense day and having to wait to conduct a FBA to help a child with disability almost seems silly. As the authors have mentioned there are many instances when there is a child with a disability displaying behavioral problems. I believe that psycho education for all the staff involved would be something that can help with the situation. There are ample of times when a teacher comes running to the administrator in this situation who in turn will ask the school psychologist to convene. At this point it is on them to make the decision as to how to best handle the situation. School psychologists now have to make the best decision that would improve the child’s behavior problems. As Peacock et al. (2009) mention that there are problems that are unique to the child, the environment and the teacher in which case it would be hard to stick to one assessment to better serve the child. I understand that time can be the determining factor in how the child’s needs are met, but it is our duty as future school psychologists to strive for the best for our children. There needs to be alternate methods of assessment that can help a child with disability in situations that need immediate care. Brittany and Krista - I agree, there needs to be better ways to educate the administration at the schools so they are ready for these situations. It would not be possible for the school psychologist to be the only person who can help out when situations arise. Further, when there is a behavior issue with a child with disability - behavior intervention plans (BIP) that are already in effect might have to be constantly tweaked or changed to better suit the child's current needs. I think it is safe to say just about everybody agrees that a FBA is necessary to review when taking disciplinary action. Even for a student without a disability it is important to assess his or her situation and see where their outburst came from. It is even more so for students with disabilities. When you look at an individual student and why he or she needs to be disciplined, many factors come into play. As much as their FBA gives information as to why he or she has acted out, I believe there are environmental factors that can affect their behavior. Even the relationship between the teacher ands student can be a factor as to why the child has done. The big question for me is how effective is the discipline? Preeti, you touched on the topic as well as Cassie. Lets say a student with a disability is suspended for throwing a chair across a room. What if the child does not see where the problem is with his or her action? The IDEA Amendment for Disciplining Students in Special Education states, “ If suspension of a student with a disability exceeds ten school days, then they must be provided with educational services.” This may give the child the impression that even if they have done something wrong they still get to, in some form, go to school. I guess what I am trying to say is that not only is the FBA important, but the child’s competency of his or her actions are equally important. Going off topic slightly, I thought I’d share some information I found when doing research for another class regarding disciple for students with disabilities. Since students in grade school are under IDEA, they cannot be expelled for his or her misconduct. Instead, the child’s IEP can be modified. Whereas students with disabilities in college fall under the ADA, specifically Section 504. This states that is there is misconduct he or she can be expelled because the law states that students need to meet the academic and technical standards of the institution. Children have more rights being under the IDEA. As stated by many of us, it is critical for school staff to be educated on types of behaviors and their functions. It is unfortunate that many teachers aren’t trained on how to deal with children with special needs. In my field placement, there was a situation where a child with special needs was acting out in class and the teacher described the child as being “slick.” I understand that it may become difficult for a teacher to have a student that in constantly disruptive the class. The teacher may use a variety of interventions that she has found successful in the past with other children. When these interventions fail to work with every student, however, the teacher may fail to understand why and may become frustrated. I feel as though it is our job, as school psychologists, to act as advocates for the children and attempt to educate teachers, as well as parents. It is simple to jump to conclusions and call a child problematic instead of looking at the underlying problem that may exist. I certainly agree with most of the comments here as it pertains to the effectiveness of FBA prior to taking disciplinary actions on a child with a disability. The children who have an IEP and are also disruptive in the classroom are most likely classified under Emotional Disturbance (ED). It's very obvious that these children lack the appropriate social skills needed to function effectively in the classroom and perhaps even in the community. As aspiring school psychologists, it is our responsibility to encourage our colleagues (e.g. administrators and teachers) to be empathic towards the child's disability and to be proactive in creating interventions that will decrease the problematic behaviors. Everyone involved in the child's treatment is going to feel frustrated at some point and I've definitely seen teachers lose their cool more often, but patience is important. The presenting issue should be open for discussion so teachers can ask questions in how to better manage the child's behaviors in the classroom. After all, a school should be a safe learning environment and this will only be achieved if staff members can work collaboratively while promoting inclusion for their toughest kids through the use of FBA and BIPS. It basically comes down to assessing the case carefully and "drawing the line" would be most appropriate in extreme cases, such as, the student brings a weapon in school or is a direct danger to others. If that happens, then the school should immediately take the necessary disciplinary actions along with evidence supporting their decision. Gabrielle, I couldn't agree with you more that even students without disabilties should be assessed when certain behaviors are erratic and unpredictable because they may be crying out for help. Any behavior that outstands should be noticed and addressed because sadly when some of these "cries for help" are ignored the consequences can be unfixable. Sherlyne, I agree, if the student breaks a code of conduct by entering the school premises with a weapon, it should be addressed immediately by the school disciplinary team. In cases that are not so severe, as I and many others have mentioned, it would not be so fair to follow the same type of disciplinary action when a more appropriate decision could be made. I agree with you Sherlyne in that it is our responsibility as future school psychologist to make decisions that will best serve our students, even if that includes consulting with teachers and administrators to express what they feel would appropriate. Working at a preschool I was able to experience the controversy of disciplining a child with disabilities, even with children at such a young age. I was a co-teacher in a three year old classroom. One of my students whom I will give the pseudonym Jack was diagnosed with Asperger's Syndrome while in my class. Before Jack was diagnosed with his disability we knew that Jack had some spectrum of Autism. Majority of the time Jack's behavior was out of complete control. Not knowing how to work with Jack we disciplined him the same way we would discipline the other children. These methods proved ineffective when implemented on Jack. It didn't teach him anything, it didn't lessen the amount of behavioral incidence we had in the class. In actuality the discipline methods we used worsened his behaviors. I see why it is so important to discipline children with disabilities different from other children. A few months after Jack was diagnosed he started going to therapeutic school part time and came back to the preschool in the afternoon. Because his behavior was the biggest concerned with us and we wanted to know effective ways to disciplining him, we asked Jack's mom to ask his other teachers what we should do. The teacher's response was to complete an ABC form for each incidence we had in the class. For the ABC form we had to provide details of the time and setting of the incident, what happened before the incident, description of the problem behavior, and the consequences that we gave him and whether or not it worked? After completing numerous forms the teacher provided us with disciplinary actions for each behavioral problem Jack had. Unfortunately it was difficult to implement these actions because the school's policy of discipline was very different from the methods provided to us by Jack's teacher. What happens when the school's policy and interventions developed from completing an FBA do not match and are very opposite? Who should have the greater voice in this situation, school psychologist or school administration? From personal experiences in the preschool I was at, the director of the school was not okay with us disciplining Jack according to his teacher's suggestions. I believe in her mind that if a higher up, like the regional director, came in and saw us disciplining Jack that way, a number of us would probably be penalized for it because it goes against the school's policy. For the situation that I was put in I wish that a member of the CST like a school psychologist or behaviorist was employed in the school. If schools are mandated to allow students with disabilities to attend the school, it should also be okay for the expert in the field of special education like the school psychologist to determine the disciplinary actions used for a child with disabilities. I can see why it wouldn’t be fair to discipline these students differently because by law public schools are to integrate children with disabilities as much and as similar to their peers as possible through inclusion and not segregated them from any school programs, policies, etc., but the function of their behaviors are different and should be treated as such. Amanda, thank you for providing a real life example of exactly we are talking about. As you were able to witness yourself that children with a disability sometimes can not be disciplined in the same way as a child without a disability. It may serve no purpose to the child and in some cases, it may reinforce the behavior.